Pachoud Motor Yachts announce two 18 metre powercat orders. In 2011, Tauranga based Pachoud Yachts launched the 17.8-metre Voodoo, the first in a new series of asymmetric foiling power cats designed in collaboration between catamaran experts Roger Hill and Pachoud Yachts. The boat proved an immediate success and served well as a test bed for foil development, appendage optimisation, and hull form, all of which is done in house by Pachoud Yachts R&D department. An early trip across the Tasman from Auckland to the Sanctuary Cove Boat Show, Australia, attracted a lot of interest and further orders followed for both the designer and builder. 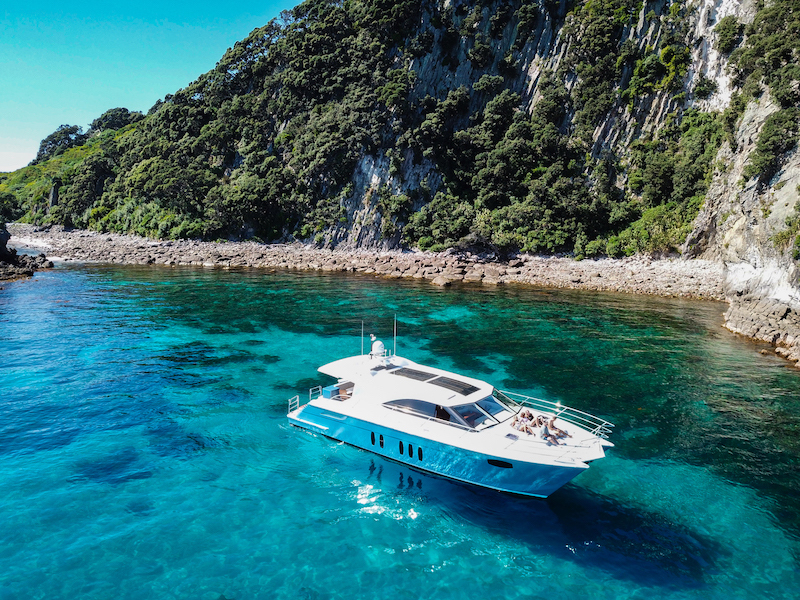 Sojourn was the first 18-metre version, which like Voodoo was capable of high-speed ocean passages (27 hours from Opua to Noumea) with moderately sized engines and offering a full luxury liveaboard lifestyle. Running a pair of MTU Series 60 engines, Sojourn topped out at 39 knots, with a fuel consumption from 20 knots to 30 knots around 6.5 L/NM. Designer Roger Hill says that he doubts there is another large motor yacht of this size that can boast similar figures and means clients can look forward to fast passages reducing travel time and increasing play time at the destination. He added that his 18m asymmetric foiling power cat is all about economy and range, allowing for transocean passage making at high speed. In July 2018, Pachoud Yachts delivered their third Sportcat, Souvenir, to Hamilton Island (27 hours from Opua to Noumea at an average speed of 31.8 knots). Souvenir is a VS model with a maximum speed of 44 knots. 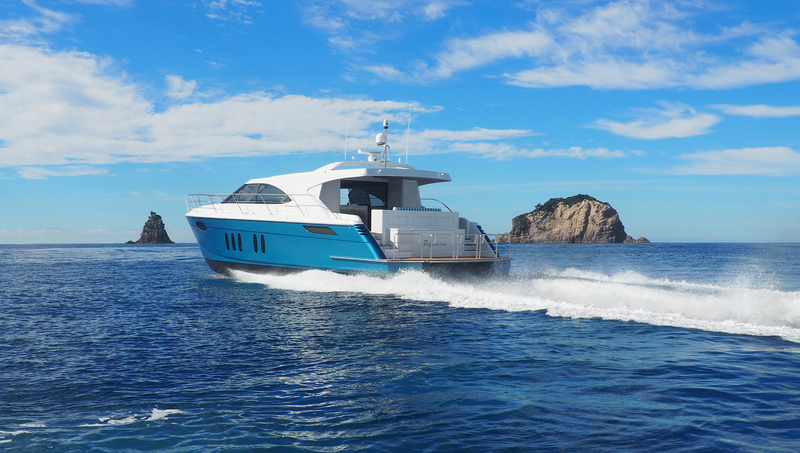 The fourth 18-metre Sportcat, F5, was delivered in December 2018 to Auckland where is will be based as a charter vessel under exclusive luxury charter provider Cruise New Zealand. Pachoud Yachts have just announced they have signed up two more. Hulls #5 and #6 have just started production and will be built in tandem over the next 18 months. Construction, like all previous models, is composite. Launch date is predicted to be mid-2020. 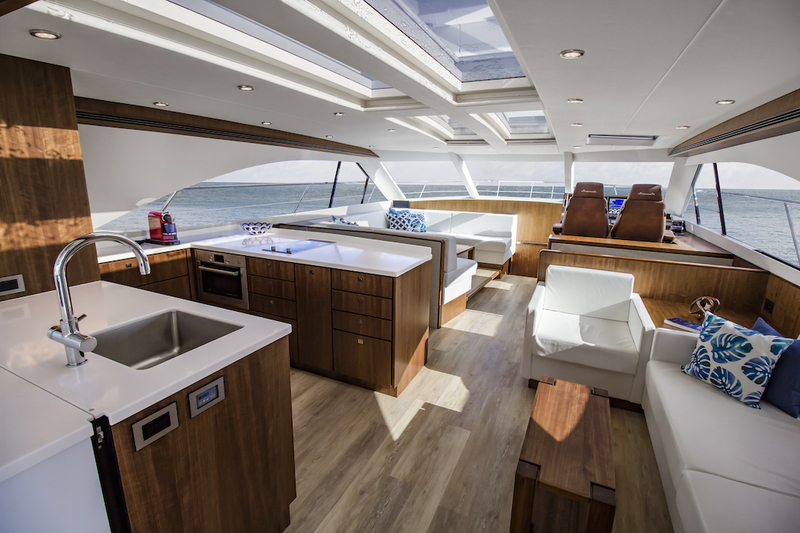 Each vessel is optimised to suit the individual owner’s preference for internal layout, décor, technical specification, and survey. Plus each is individually analysed for optimum foil shape and size related to the required performance and final displacement. Power for both 18-metre power cats will probably be 2 x MTU Series 60, through shafts, which will give the 27000 kg boats a maximum speed of 39 knots. 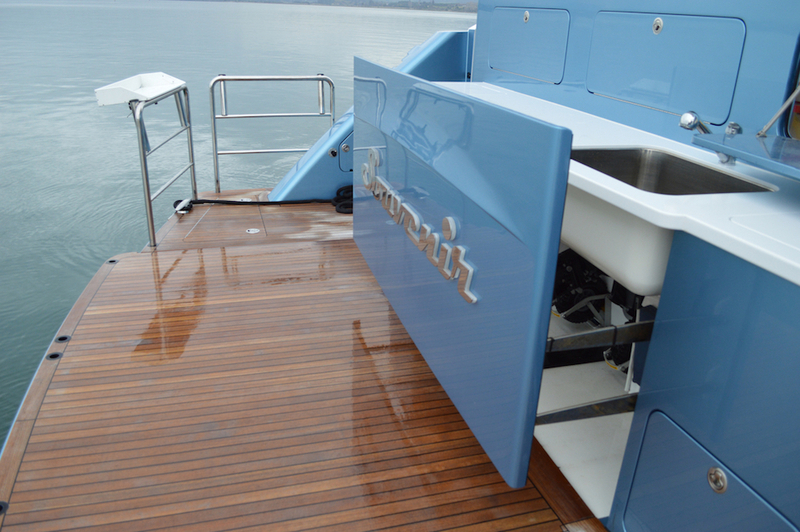 The Pachoud Sportcat design was developed by collaboration between the builders and the designer as an exclusive Pachoud design. “A very significant amount of ongoing research and development has been invested in achieving the best, most efficient planing hull and hydrofoil designs possible”, says Pachoud Yachts spokesman Mitch Pachoud.